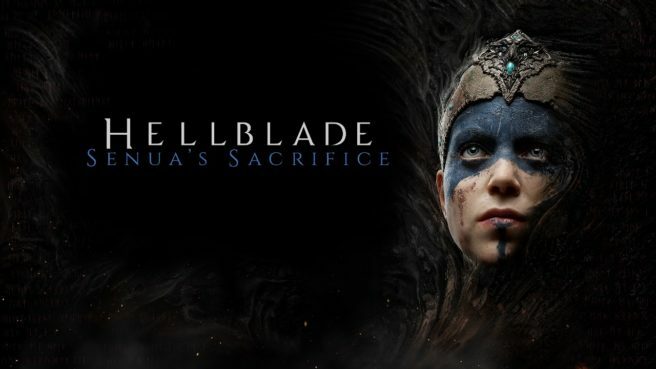 Hellblade: Senua’s Sacrifice was only just announced for Switch a couple of months ago, but it already landed on the eShop this week. Digital Foundry has taken a closer look at the impressive port as part of a new analysis. Compared to other versions, Hellblade: Senua’s Sacrifice takes a biggest hit on Switch when it comes to resolution. When docked, the game employs a dynamic resolution that has a maximum of 720p and a minimum of around 576p. The same 720p floor applies to portable mode, though it can dip to 400p. Things can look blurry from time to time, but anti-aliasing improves the visuals. Interestingly, cutscenes now appear to be full-motion videos. However, they fade in rather seamlessly and look to be based on the Switch version’s visuals. Cutscenes were real-time on other platforms. Textures have a lower resolution on Switch and there’s a more aggressive texture filtering in place. Other changes include fewer objects in the distance, different tree textures, and more. As far as performance goes, frame pacing is uneven. The game does target 30 frames per second. Performance in docked and portable modes remain similar. Overall, despite the changes, the common consensus is that Hellblade is a worthwhile port on Switch. Unless you’re comparing the Switch version to the original releases directly, it would be difficult to notice how much was really modified.